We are the pioneer in the provision of system integration services in the best way. Being the partner of Crestron (control systems), Samsung, Avaya, Cnario (digital signage) and so on, we make it possible to provide with the right amount of satisfaction from our work. 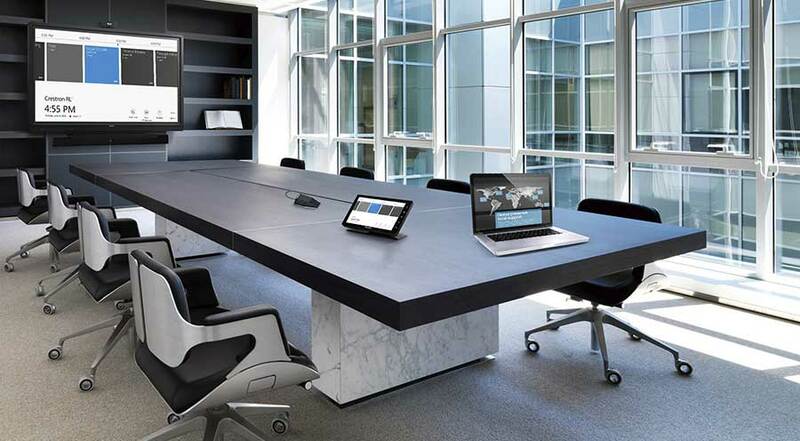 We also go a long way in making it possible to enhance the productivity of the meeting room by automating the meeting room devices in the right manner. It is to be mentioned that it takes more than 15 minutes when it comes to the duration for a presentation or a video conference to get the meeting room ready. There are lots of tasks that are included in it ranging from the projector screen that needs to be rolled down to getting the lights adjusted and finally having to switch on TV or projector. But in our case, all it needs is a single click of a button. So, meeting room automation solution proves to be the best choice for you in the right manner. Smart Class control:	In order to cover the meeting room, smart class are put where you do not have to use blinds at all. The class can also be automated according to the requirement. Projector Control:You do not have to worry about using the remote in switching on and off the projector. The projector can also be pulled down or even get it hidden in the ceiling as well. Air Condition Control: A moderate temperature can be preset where our wireless control panel operates the AC. Class or Blinds Control:It is with the single click of a button where all the curtain gets closed or opened. Lighting Control: The touch screen makes it possible in controlling the intensity of the lights in the best way. Scene Control: With the help of pre-configured 'Presentation Start' and 'Presentation End', projector, lights and blinds can be operated in the perfect manner. Touch Panels: There are different types of touch panels that are available where you can try to choose from wall mount, wireless and desk mount. So you can try to select it as per the requirement for your conference room.